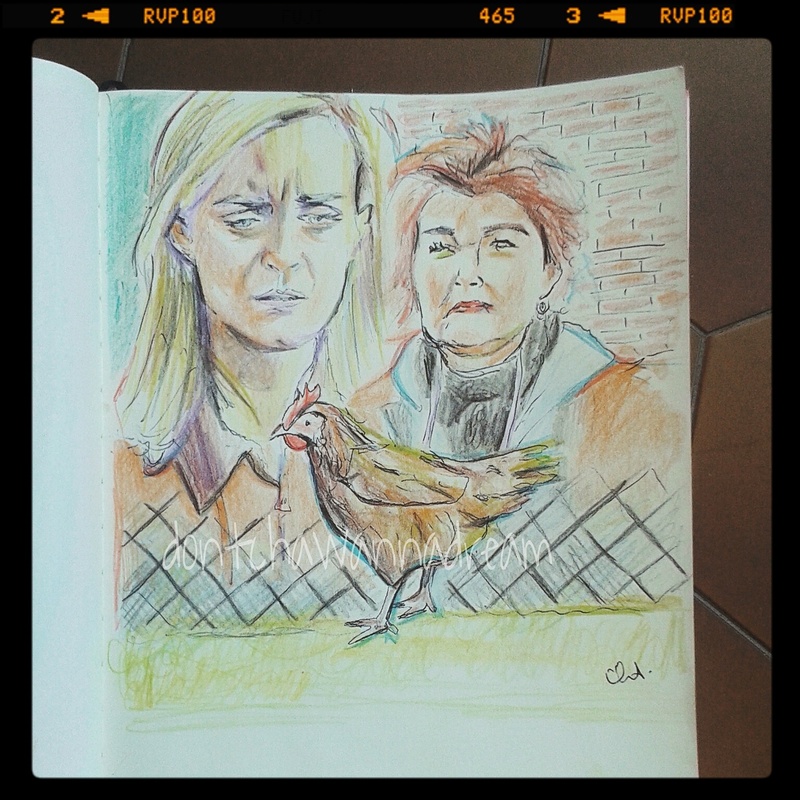 I started to watch Orange Is The New Black a few days ago… hence these sketches! I knew I would quickly become an addict… The actors are very good and of course, as always, I want to know what will happen. Buuut I had to force myself a little bit with the 2 first episodes since the atmostphere is quite dark (the show is about women in prison… some of them are crazy and murderers sooo you get it). The Mindy Project and New Girl are more my kinda tv shows if you know what I mean (GIRLY stuff, glitter, fashion, cuteness, romance, comedy). But it was definitely worth it to keep watching it. I won’t bother you with boring selfies, I swear! Only my drawings and paintings. 😉 Thank God! Great sketches Cha. I’ve never seen that show. Sounds pretty hard ball with the women in prison and all. I’m a CSI fan, although I don’t really watch it much anymore. Like you, I like the light stuff too. Smiles about the ‘glitter and cuteness’. I’m sure your boyfriend appreciates that eh. Hahaha. Ohhh gooood. Sorry Staci. I’m just reading your comment. Thanks a lot for your awesome comments always!! Hahahahaha! Love it @ unicorns and glitter. You’re allowed to like the show and still be girly. Hehehe. Thank you Prenin.. sorry I am late! Well it’s easy, you start watching and you just know what’s gonna happen… it’s all about the characters!!! 😀 but anyway, I understand not everyone likes that kind of tv shows. I like your sketches a lot better than I’d like the show, I’m sure. I don’t know actually. Anyone could love it. It’s a very good show. Love these portraits..don’t know the show, hmm may be a bit dark for me. 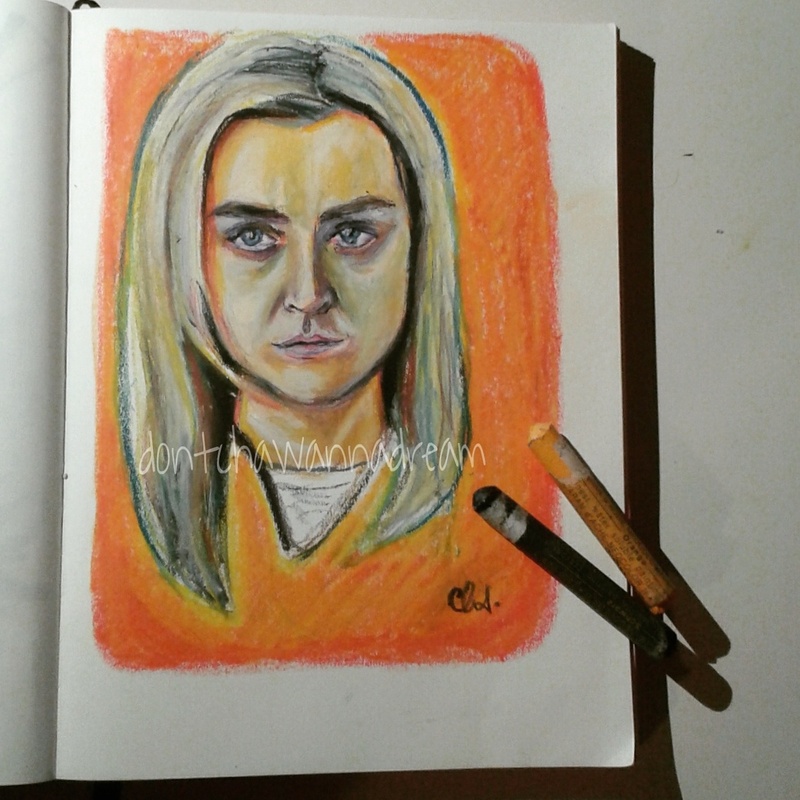 🙂 You are certainly skilled with those oil pastels! I love using them too, particularly fond of the water soluble ones. I’m using those great art app ones lately, however, I hope to do some again, on paper – eventually.. 🙂 Have a great day! thanks very much. thought so too but it is very good!! it’s on Netflix! 🙂 cool, cannot wait to read your new post! have a nice day!